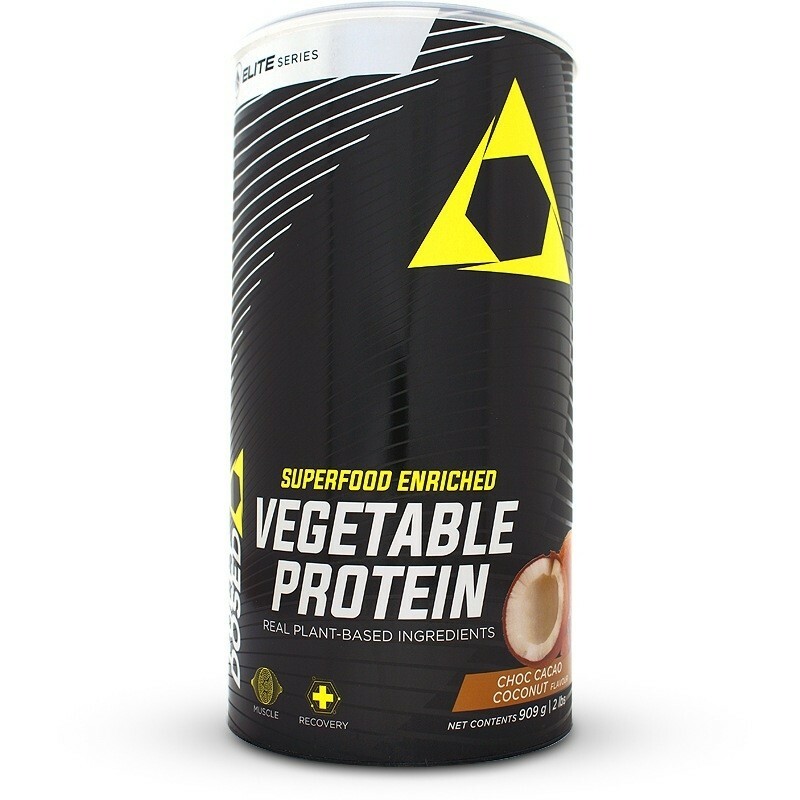 Fully Dosed Vegetable Protein contains real plant-based ingredients and is Superfood enriched. More fitness athletes are becoming Vegan or follow an almost 100% plant-based diet. They feel ethically compelled to not consume animal products or to protect the environment from the rigors of commercial animal farming. Eating a plant-based diet has been shown to have health advantages over a typical western diet. The one nutrient that Vegan athletes may lack is protein. Maintaining or building lean muscle is still the goal of plant-based fitness athletes. And protein is responsible for that. The challenge is consuming the massive quantity of food needed to meet their daily protein requirements to build muscle. 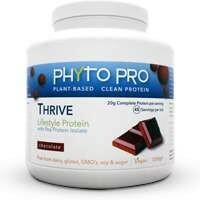 Fully Dosed Vegetable Protein provides 19 grams of protein sourced from Peas, Rice and Almonds in a delicious shake. The protein blend provides a complete profile of essential amino acids. Added Flax Seed and Maca Root powder provide an excellent source of healthy fats, dietary fibre, iron, copper, calcium, zinc and trace elements. Naturally sweetened with stevia and organic dehydrated coconut flower sap. This product has a sugar count of 2.5 grams per serving which is higher than that of an artificially sweetened Whey protein. The reason is that Pea protein has a very strong chalky taste and is difficult to flavour to an acceptable taste. 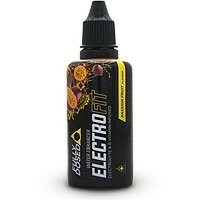 Fully Dosed have done an excellent job creating a delicious and nutritious Vegetable Protein shake that is packaged in environmentally conscious packaging. Add 1 heaped scoop (approx 30 grams) to 250 to 300 ml of almond milk (or cold water or other suitable beverage of your choice) and blend well. Have a serving directly after your weight training to help with recovery. 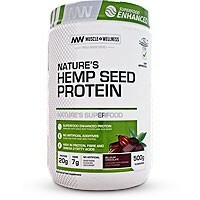 Take one to two servings per day or use as required to help meet your daily protein requirements. Seek advice from a health care professional before use if you have any pre-existing medical condition. Discontinue use and consult your doctor if any adverse reactions occur. My wife and I have been supporters of the muscle wellness vegan range. 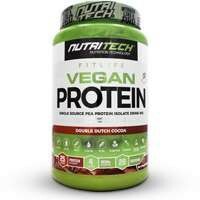 We have tried numerous other vegan proteins but felt the taste was never great. Fully dosed is a great product which an amazing taste and best of all it is Vegan! 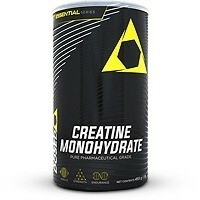 Worse tasting supplement I've used and made feel psychologically depressed on all three occasions I used it. Thought to myself my body probably just needs to get use to the ingredients, however on the third time a used it the message was loud and clear. Bad product, discard. Waste of money and time. I've been a vegan for over 6 years. 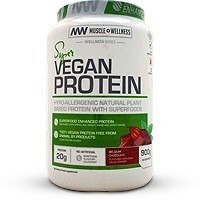 It's been hard for me to find a tasty and effective vegan protein supplement until now. I absolutely love Fully Dosed, it's the best I've ever used and I will continue to use it.